Future updates may allow the Blumoo to realize its great potential, but as of now it overpromises and under-delivers. For all of the clever, innovative gear we saw at CES 2014, one home theater product in particular caught our attention: Flyover Innovations’ Blumoo. 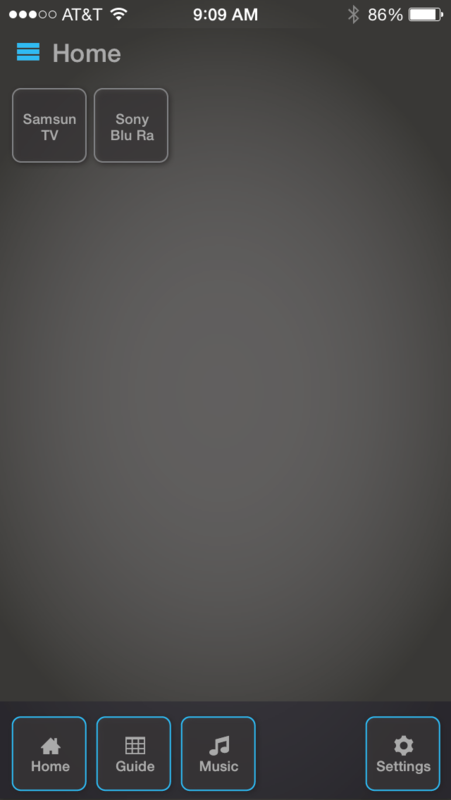 Harnessing the power of Bluetooth and infrared, Blumoo promises to turn any Android or iOS mobile device into a universal remote contol, while pulling double duty as a Bluetooth music streamer for existing audio systems. After a brief demonstration in Vegas, we were excited to fire up a Blumoo for ourselves and wield omnipotence over our home theater. However, while the $130 device promises to be one of the easiest ways to transform a smartphone or tablet into a home entertainment control center, the system’s bugs and limitations put a damper on our good time. We’ve been told forthcoming firmware updates should fix most of these issues, but in its present state, the Blumoo simply isn’t ready for primetime. There’s not much to the hardware here, just a simple block of glass and metal with cables attached for power, and an RCA connection for your stereo. 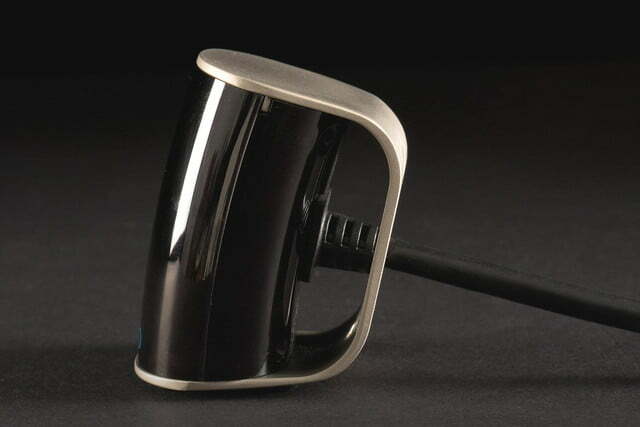 There are no onboard controls – not even a power button, since the device remains in constant standby mode. An LED at the front indicates connection status: red means Blumoo is at rest, blue means it’s connected to your device and ready for action. 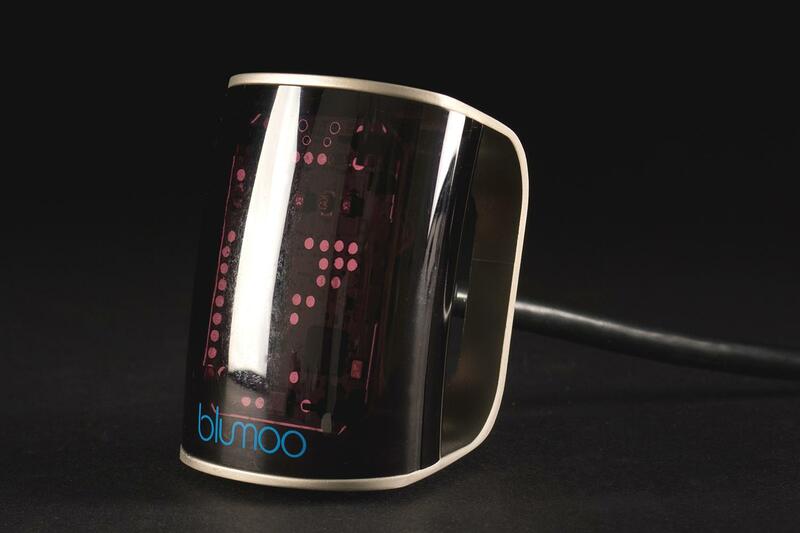 Any time you execute a command, the blue LED will blink, registering a shot fired from the Blumoo’s IR blaster. The blaster is powerful enough to bounce off any wall, allowing setup of the unit alongside your home theater, facing outward. The Blumoo’s brains and brawn live in the hardware’s companion app. 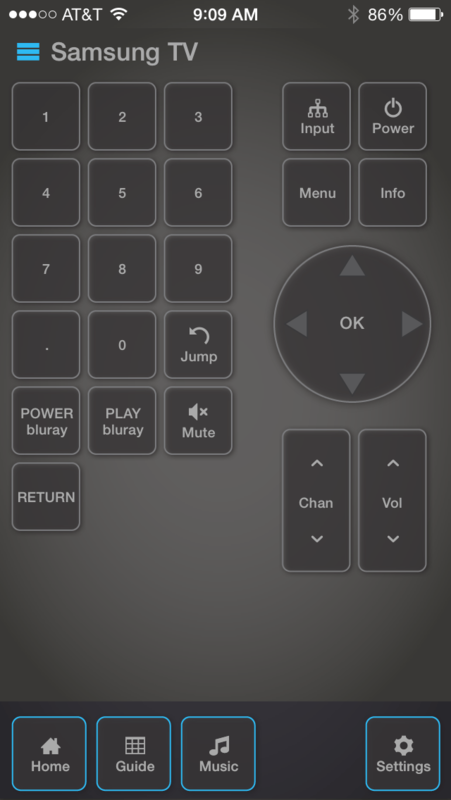 From the app you can create a custom remote control pad for each of your devices, download local program guide information for satellite, cable, or broadcast TV, and even customize each control pane, adding buttons at your leisure for any device that you’ve programmed. It should be noted that, at this time, the Blumoo doesn’t support macro functions. For example, you can’t program a string of commands for a “Watch Blu-ray” button which would power on all the necessary devices, switch to the right inputs, etc. 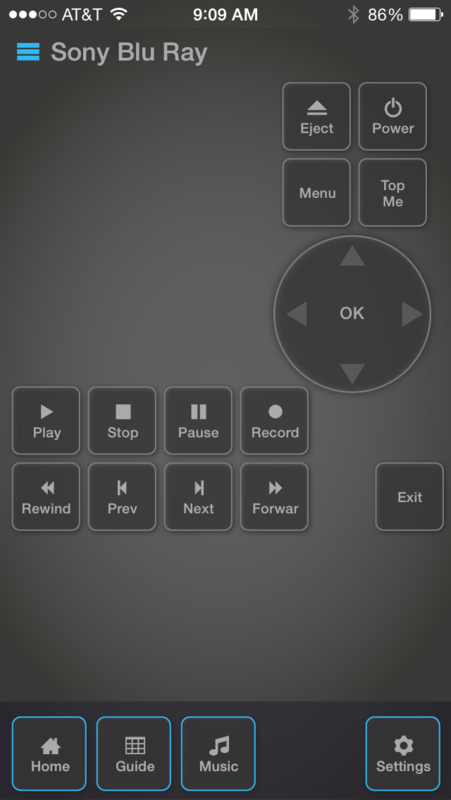 The app’s layout consists of a home screen with icons for each programmed device, a Music section, which consists of Pandora and iTunes (though they are just as easily called up on your phone itself), a settings screen for basic firmware info and simple parameters, and the Guide screen, which allows you to browse what’s programming from your mobile device, and tune to it. While the system pairs automatically to your phone or tablet for remote control, you’ll have to complete a second pairing process in order to use the wireless music streaming feature. 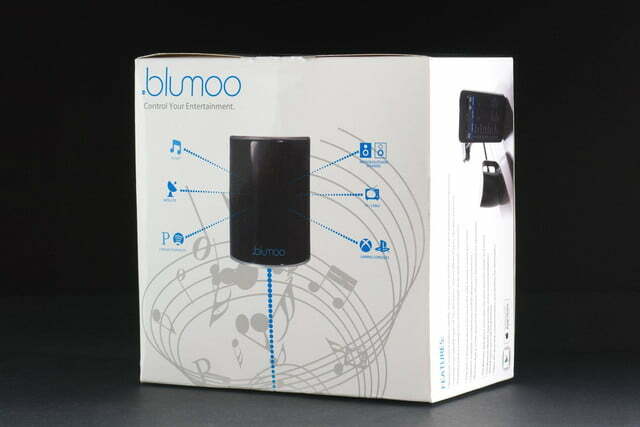 Once done, you can call up the Blumoo like any other Bluetooth speaker and stream music to any audio system with an analog audio input. 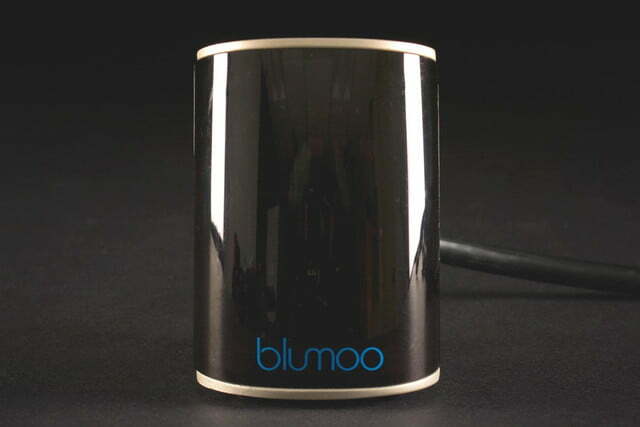 The Blumoo supports up to CD-quality audio, according to its website. The app is relatively intuitive, once you cozy up to it. However, it can also be very time consuming. To get started, you tap an icon on the home screen which asks if you’d like to add a device, remove a device, move, or create a custom remote – the latter of which creates a blank slate to create a mix of buttons from any and all of your programmed devices. 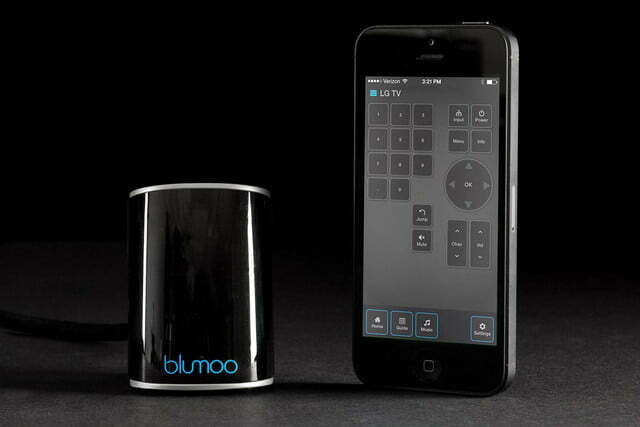 The first order of business, however is to add a device – Blumoo automatically starts with your TV. First you must specify which brand and model you’re working with. If the system doesn’t have your model in its database (which we ran into several times) you’ll have to try random models in hopes that you’ll stumble onto one with compatible codes. Once a choice is made, Blumoo will attempt to power up your device, asking “did your device turn on?” If yes, you’re ready for action. If no, a check mark appears by the model you’ve chosen to help you keep track of which codes you’ve already tried. If none of the available options wind up working, you’re out of luck – for now anyway. Flyover reps told us they’re working on an update that will enable the Blumoo to learn IR codes from stock remotes. 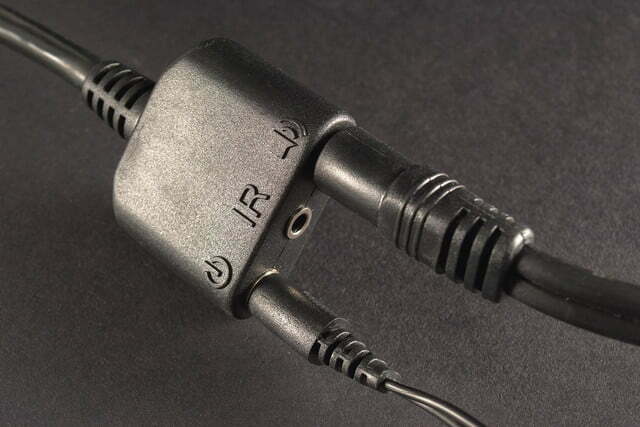 If connection is successful, a remote pane appears with a basic selection of controls – for a TV that means a number pad, volume, power, channels, etc. Any button that isn’t offered by default must be created manually. This is the time consuming part. You can choose the size, general shape, and even a custom name for your new button, as well as which device it will control – a key option, allowing you to potentially add basic controls for, say, your Blu-ray player to your TV’s remote pane. You then assign a control parameter to your new button, and a name. Once you’ve finally gotten all the commands you think you’ll need (you can add as many buttons as will fit on a page) you’re ready to start using your Blumoo. We played around with the Blumoo over a period of several weeks, and for brevity’s sake, we’ll just say again: Blumoo isn’t ready for primetime. There are bugs and limitations that must be addressed before it gets our stamp of approval. Before we get into our issues with the device, however, we should mention that we generally enjoyed using it for basic TV and Blu-ray player control, especially with the iPad. 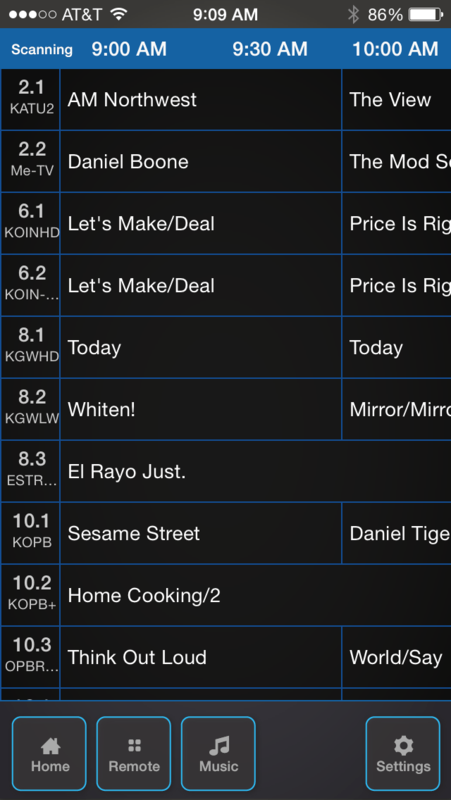 It was fun to be able to customize buttons, and as a cord-cutter, it was also cool to be able to select and tune to broadcast TV channels from the guide. One issue we had was a slight delay between tapping a command and execution. It wasn’t a big deal for basic controls, but when we had to type a veritable novel for our Netflix login, it was a real pain. Still, having all home theater controls in one place is worth some hassle. Wireless music playback was plagued with streaming hiccups. Unfortunately, having all controls in one place didn’t always happen for us. While Blumoo promises access to “more than 200,000” components, we found several devices with model numbers not in the database, flipping through every model in the category to no avail. 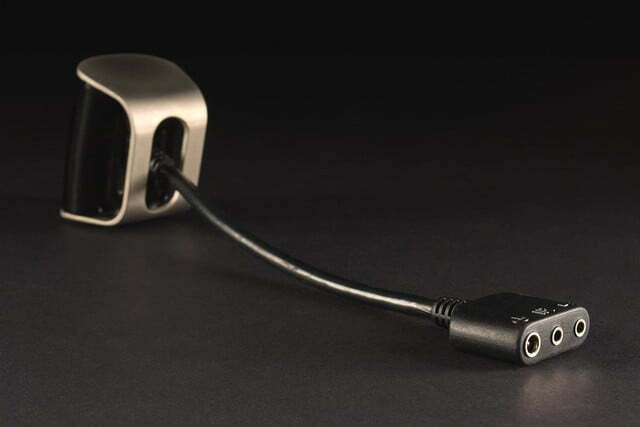 Blumoo worked well with multiple Samsung TVs, as well as our Samsung BD-H6500 and Sony BDP-S590 Blu-ray players. But devices that wouldn’t connect included a Cambridge Audio Minx XI media receiver, a Toshiba BDX-6400 Blu-ray player, and an old Sony MHC-BX6AV component system. As mentioned, Flyover Innovations said a general IR learner is coming, and as far as we’re concerned, that can’t come soon enough. Finally, wireless music playback – a big reason we were hyped about this particular style of universal remote in the first place – was plagued with streaming hiccups. 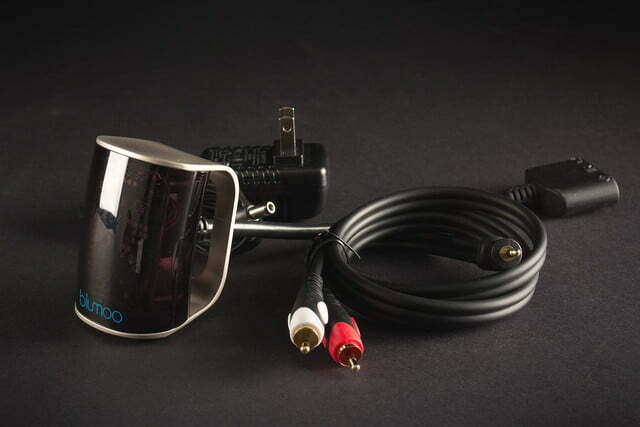 The unit teased hints of real promise, providing clear streaming with good resolution when it worked. But a ceaseless repetition of playback dropouts put us on edge and ruined the mood – not exactly what we look for when relaxing to our favorite tunes. We contacted Blumoo, and were informed of a firmware update that was meant to fix the issue. Unfortunately, even after the update, our streaming woes persisted both with an iPhone 5, and an iPhone 4S. 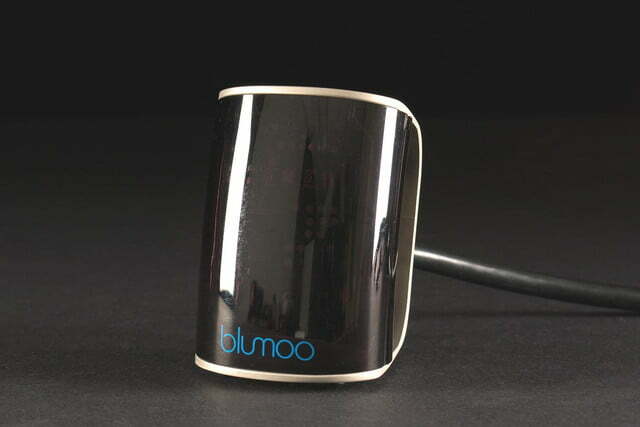 Flyover Innovations’ Blumoo is a great device in theory, but in practice, it doesn’t yet measure up. The good news is that, aside from the inherent delay in command execution, firmware updates could potentially cure all of its woes. If and when that happens, we will be sure to retest and update our review. As of now, a lack of device compatibility and some music streaming hiccups have us looking elsewhere for our universal control solution.